I fabricated these earrings from sterling silver. 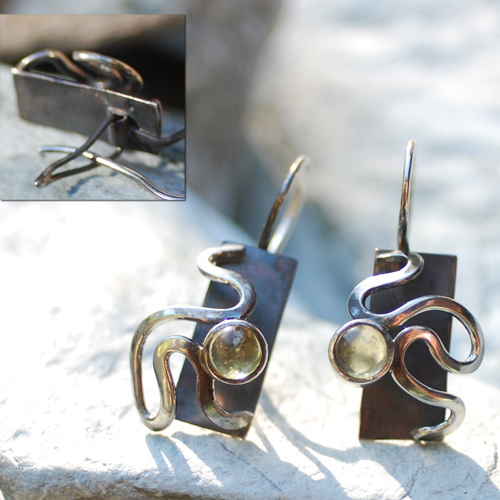 They feature yellow torumaline cabochons, set in hand drawn tubes. Accented by wavy seas, the stones illuminate beautifully in sunlight. On the panel behind the waves and stones, I gave them a patina for an antique finish.The backside has a latch to catch the ear wires.